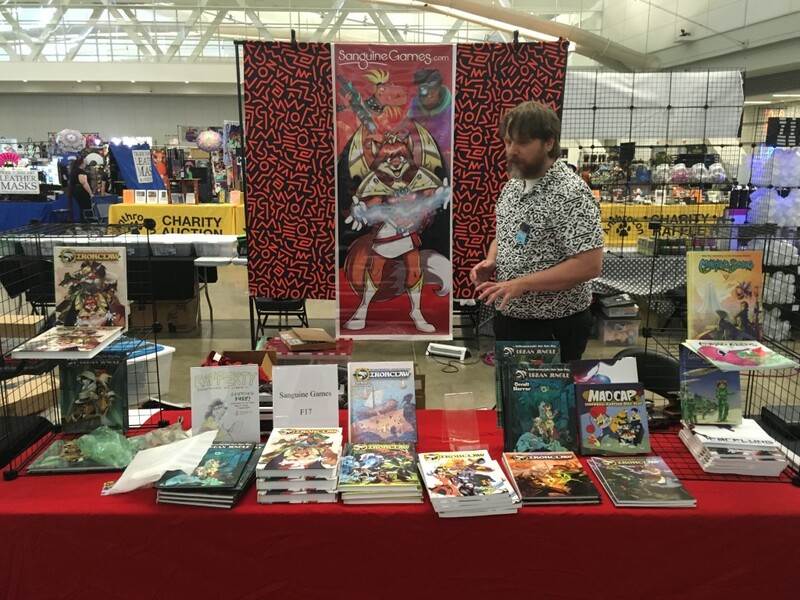 For the high has to come from the low, as volcanoes burst through the snow… in 1999, IRONCLAW: Anthropomorphic Fantasy Role-Play debuted at Origins Game Fair Expo, DragonCon, and a few other places. Sanguine Games’ flagship product came into this world, with teeth bared and steel drawn. Magic, gunpowder, nobles, priestesses, monsters, heroes, and more, all in the debut. Ironclaw wasn’t just about playing a character, it was about playing your character, where you made the hero you wanted to see in the world. A leader in its field, Ironclaw would later receive a GenCon Award in recognition of its outreach to new and to under-represented gamers. Two decades on, and Ironclaw remains a leader in gaming. Squaring the Circle: 2nd edition added more options, more setting, and more stories, while streamlining play to make these things happen at a modern pace. (It’s both smaller and bigger at the same time, how does that work?) There may be games that are like it, but there is no game that is Ironclaw. Now you can experience the history for yourself. Sanguine Game has partnered with Bundle of Holding to offer a full retrospective of the Ironclaw gaming line. Any pledge to receive all the books of the Ironclaw 1st edition, which ran from 1999 to 2005. Pledge more, and you can receive the complete 2nd edition, including the core Omnibus edition that has all you need to play. This Bundle of Holding package is only for a limited time, so don’t miss out. These twentieth anniversaries don’t come every year! And thank you for your support over these few decades. It’s people like you that keep independent publishers like us alive, long enough to buy beer and to rent a car. 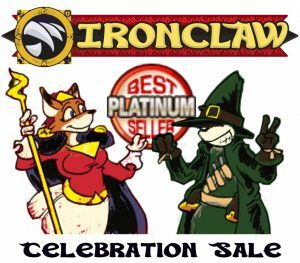 Tap here for the Ironclaw 20th Anniversary Celebration on BundleOfHolding.com . It’s been a long time in the making, but it’s finally happening. We’ve assembled a dream team of your old favorites and some new voices for the most strange and fantastic Ironclaw yet! From stories about characters in Calabria and voyages thither, to new menaces lurking in the dark corners of undiscovered country. Learn more about the Monsters and Legend project by tapping this link. Pledge now for unique rewards! Anthrocon was a huge success this year! 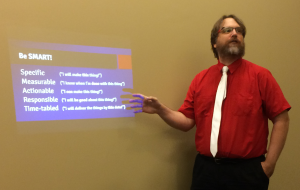 Thanks to everyone who came by to see our panels on how to self-publish (hosted by M.C.A. Hogarth and Norman Rafferty). The landscape is always changing and there were lots of good questions. Also a big thanks to everyone who showed up at our gaming demonstrations. And to the staff who ran everything. And everyone else. Really, a great show. 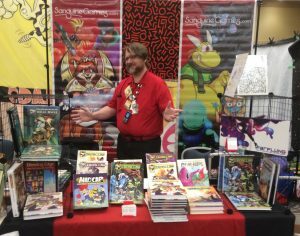 Thanks to everyone who came by to see us at the Origins Game Fair! 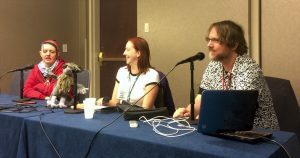 Once again, our “How to Self-Publish” panel was a great success. Lots of interesting questions, and we always have new stuff to learn. Here’s some materials from our presentation, always being updated as we learn new things. Thanks to everyone who came to our panel at Motor City Furry Con! We had a lot of great questions, and it’s always fantastic to hear about people moving forward with their great ideas.